Latest years crop! Lighter & smoother than last years crop, yet it retains it’s distinctly American flavor! Our 2017 USA grown Virginia Flue Cured Tobacco leaf is as full flavored as it gets! The (B) stands for Bright, as it is brighter in color and flavor than our American Virginia Flue Cured (R) version. 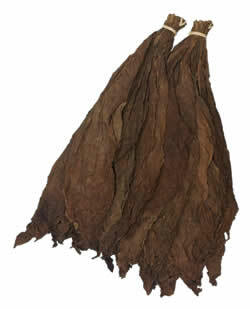 This fine tobacco leaf arrives with your familiar cigarette tobacco smell and produces a smoke similar to that of a Marlboro. Fresh from the farm American Virginia Flue Cured tobacco is a unique variety of tobacco. In the marketplace it’s usually found available pre-processed (chopped) and only in large quantities. 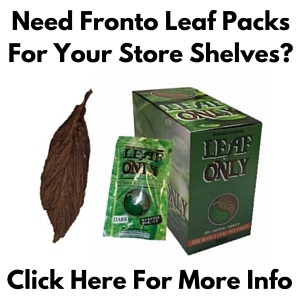 Now you can enjoy the whole leaf, unadulterated by any commercial processes. Commonly used in hookah, pipe and cigarette tobacco blends. 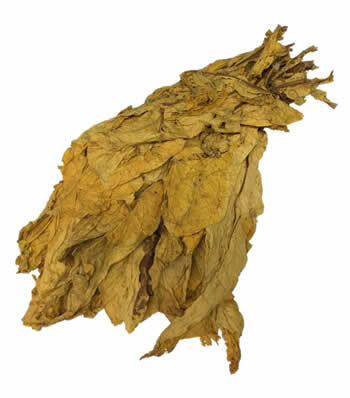 Also called Brightleaf Tobacco, Virginia Flue Cured Tobacco is one of the commonly used leaves in the industry as a major component in cigarette, hookah and pipe blends. This leaf is not considered wrapper grade leaf, as it is not regularly handled with the same care. Roll your cigarettes with whole leaf tobacco, and have confidence that the contents haven’t been handled by a commercial processor. 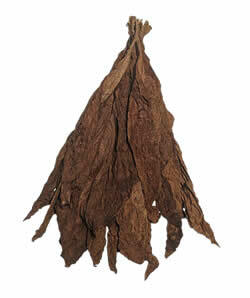 Be sure to have a look at our other variety of flue cured tobacco: Canadian Virginia Flue Cured tobacco. Interested in purchasing a quantity of American Virginia Flue Cured Tobacco at the incredible prices listed below? Contact us to set up your order now.